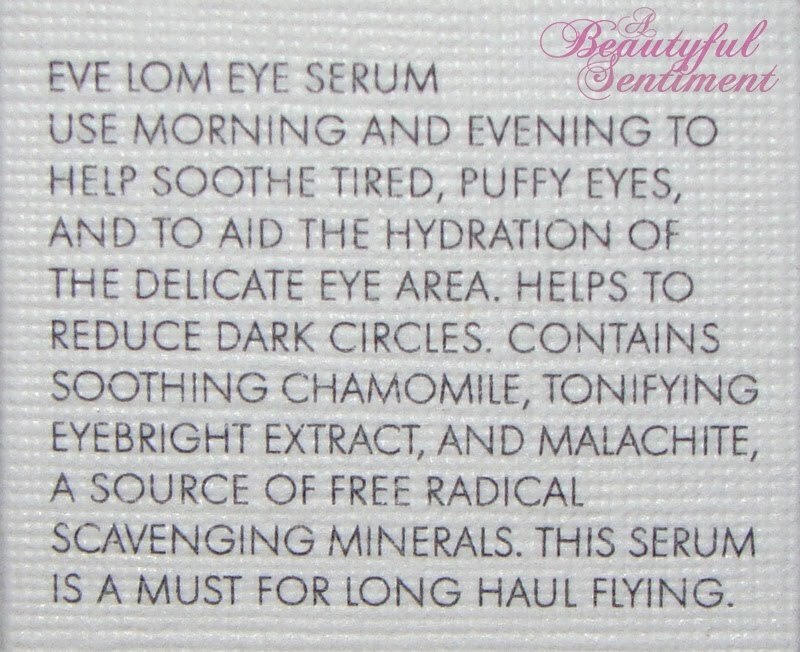 A lightweight eye serum to help soothe tired, puffy eyes, and to aid the hydration of the delicate eye area. Chamomile extract soothes the delicate skin around the eye area. Eyebright extract tones the skin and reduces dark circles. A must-have for long haul flights. 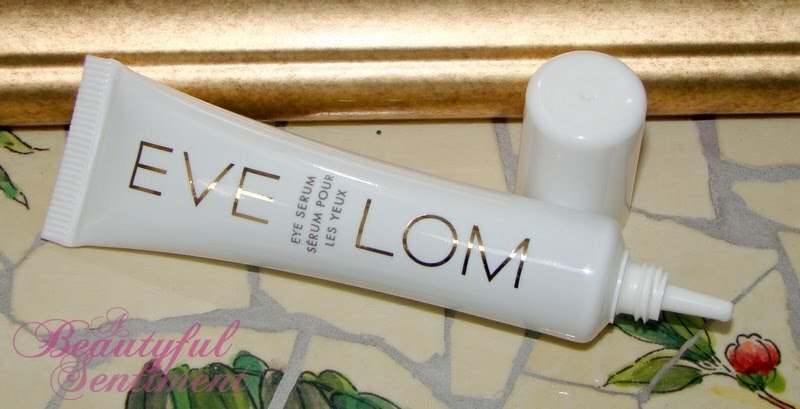 The Good: Eve Lom’s Eye Serum has a great lightweight gel formulation that dries quickly to a nice smooth finish. It contains malachite, a free radical scavenging mineral, and is pretty amazing for eradicating puffiness (whether it’s from a exhaustion or watching that tearjerker the night before). The squeeze tube makes it easy to dispense just the right amount and the rapid tightening effect is great. The Bad: I’m still relatively young so my undereye area doesn’t get extremely dry, but I found that this wasn’t as moisturizing as I would have liked. I’d probably use it exactly as its name implies – as an eye serum, with some additional cream on top. The Age Range: I’d recommend this for those in their earlies twenties to early thirties as a stand-alone eye cream if you’re relatively oily, and as an under eye cream serum for any age range. 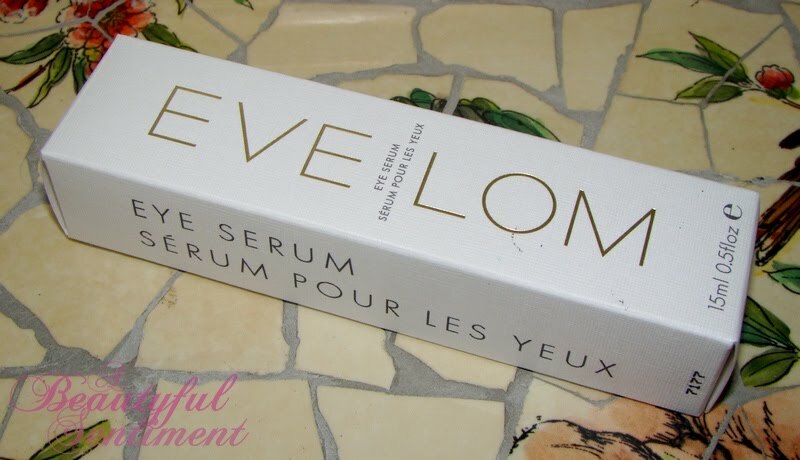 The Verdict: This Eye Serum was the first Eve Lom product that I’ve tried, and while it was decent I wasn’t terribly impressed. The Caudalie eye cream I reviewed as Part 6 of this series is much more to my liking, and if you’re looking for a light gel eye cream, there’s a nice REN one I’ll be reviewing for you next that you might like better.